CAWDOR CASTLE was built in 1902 by Barclay, Curle & Co. at Glasgow with a tonnage of 6235grt, a length of 414ft 8in, a beam of 51ft 2in and a service speed of 14 knots. 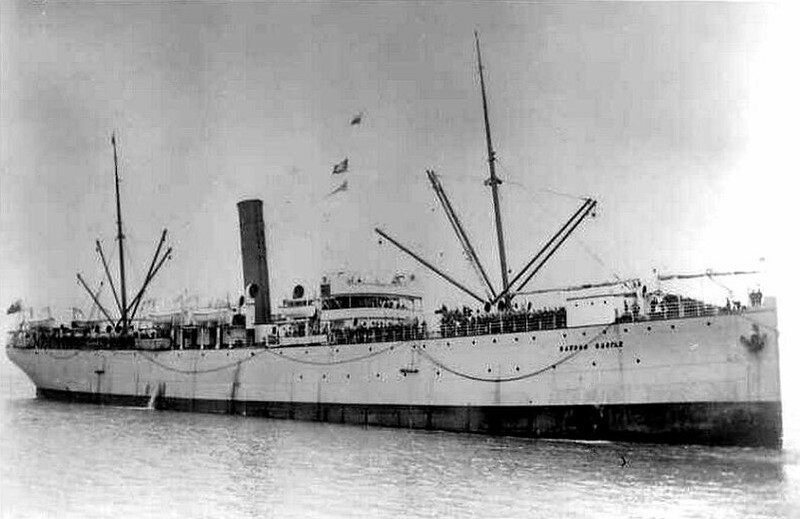 The third of four sisters she was built as an extra intermediate steamer for the emigrant trade to South Africa. 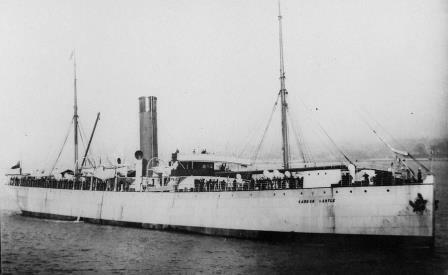 When the emigrant trade slowed down after the Boer War she spent a lot of her time as a fast cargo carrier and in 1914 was used as a horse transport between South Africa and France. In April 1915 she carried the Chatham Battalion of the Royal Marines to Anzac Beach, Gallipoli. 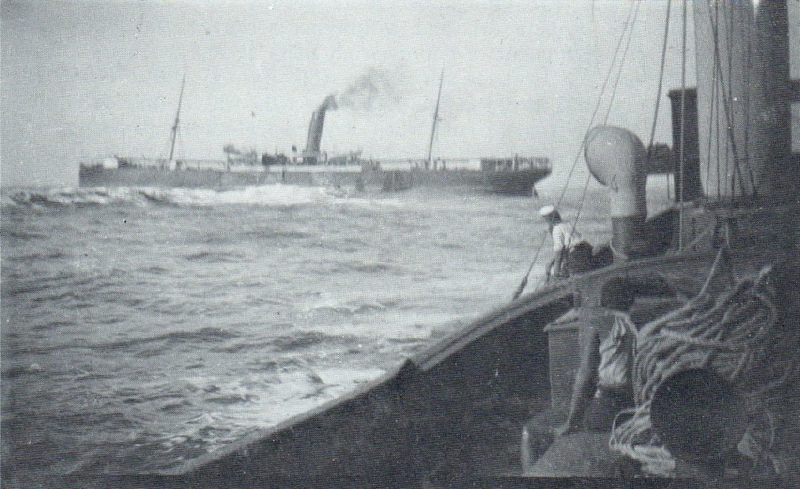 Towards the end of the War she was again on the west-coast serviceand she was the first vessel to reach Table Bay after the Armistice with repatriated South African troops. Until 1923 she was employed on her usual South African run but was then laid up for over a year. She was subsequently put back inservice but now purely as a cargo vessel and the colour of her hull was changed to black. 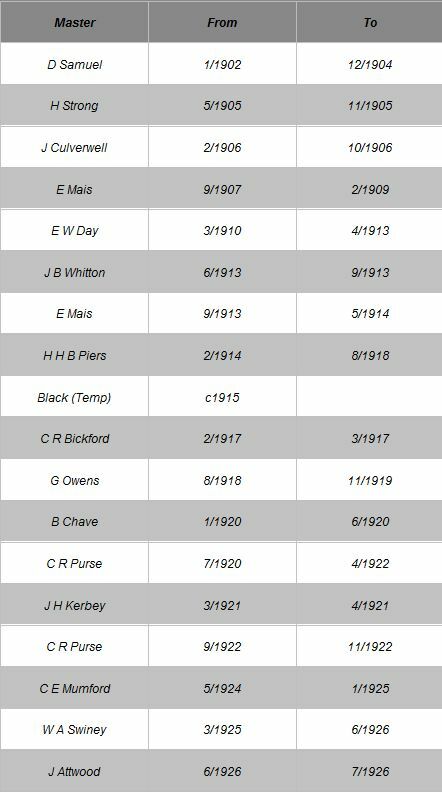 On 30th July 1926 she ran aground at Conception Bay in South West Africa during a voyage from London to Mauritius. The German survey vessel Moewe stood by and gave assistance and the crew of the wrecked vessel were all safely landed. Cawdor Castle could not be refloated and within a short time broke up.